Flying Pig Buttons. 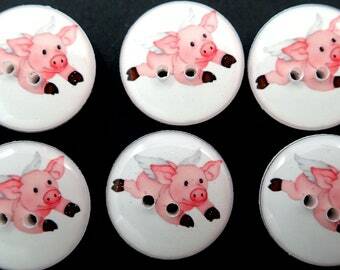 Cute Winged When Pigs Fly Buttons. 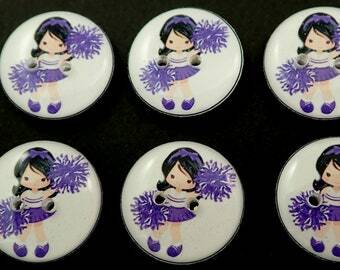 Free shipping with $27.06 purchase from buttonsbyrobin. See item details below for sale terms. 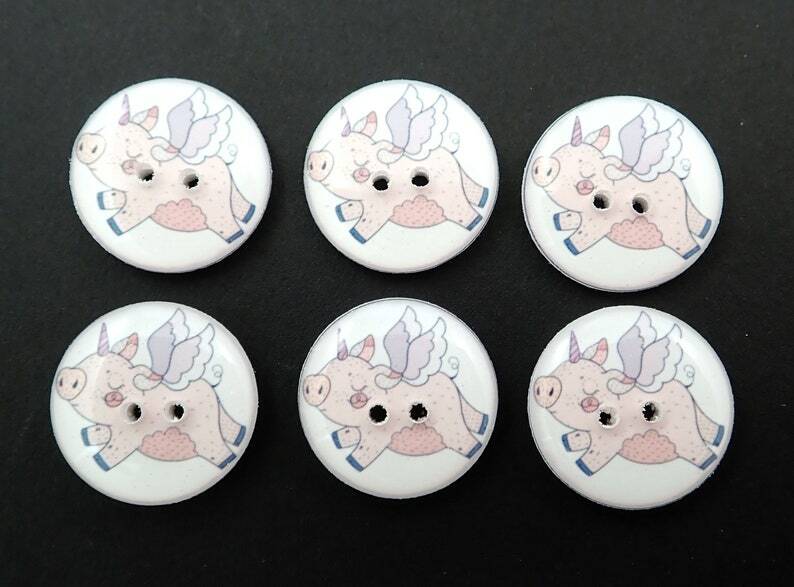 6 flying pig sewing buttons. These remind me of that saying "When Pigs Fly." These have an image of a flyng pig. They have two holes in them for sewing onto your items. They are plain white on the back as shown in the last picture. My buttons can be used anywhere you'd normally use buttons. These designs are sure to be a conversation starter and add a very unique touch to your items. My buttons are all handmade one at a time in my home studio. I use museum quality materials which are archival safe. This means that in addition to using my buttons on your handmade sewing, knitting or crochet items they are also safe to use on your scrap book projects. Use for sewing, knitting, art quilts, scrap booking, card making, jewelry making, altered art, mixed media art, button jewelry, purses, home decor and more! The buttons are made of resin. Yes they are washable and dryer safe. Yes you may use my buttons for both personal and commercial use. Image is from Le Petite Market. Flying Pig Buttons. When Pigs Fly Buttons. Choose Your Size. 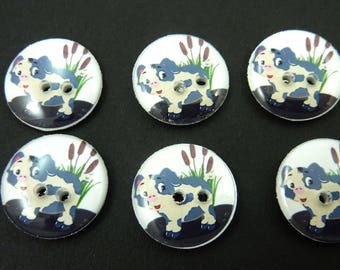 Dinosaur Buttons. 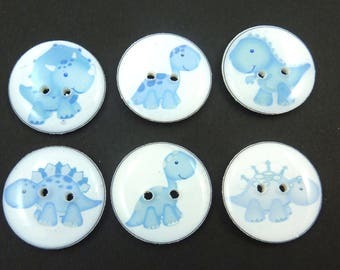 Set of 6 different Blue Dinosaur decorative novelty craft dinosaur buttons. Choose Your Size. 6 Pig Buttons. Pig in Mud. Novelty Sewing Buttons. 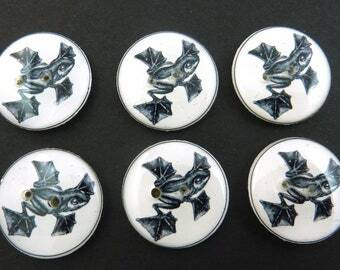 6 Flying Frog Buttons. Sewing Buttons. 3/4" or 20 mm. 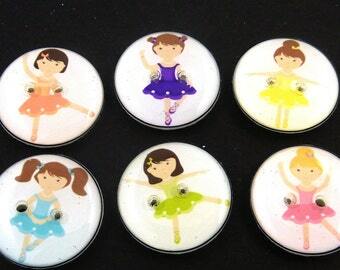 6 Ballerina Buttons. Ballerina or Dancer Handmade Sewing Buttons. 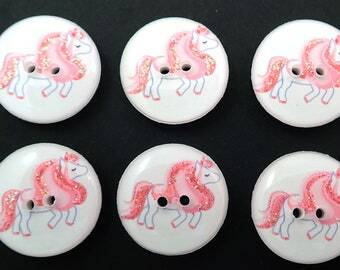 Cute Novelty Buttons for your Crafting, Knitting or Crochet Projects. 6 Welder Buttons 3/4" or 20 mm. 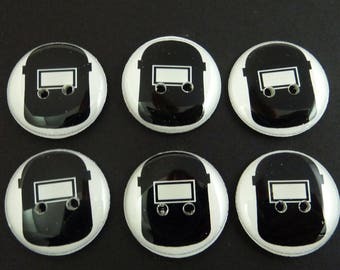 Welder Mask or Welder Helmet Buttons. 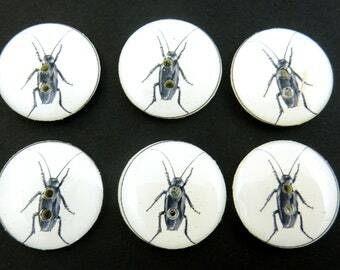 6 Cockroach Buttons. Sewing Buttons. 3/4" or 20 mm. 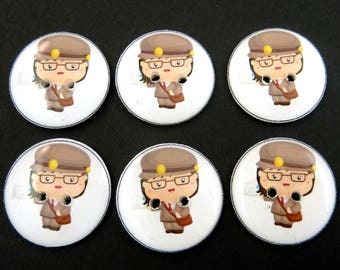 6 Mail Woman Buttons. 3/4" or 20 mm. Postal Worker Buttons. 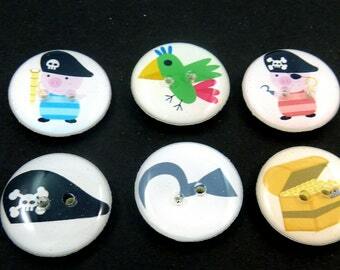 Pig Pirate Buttons. 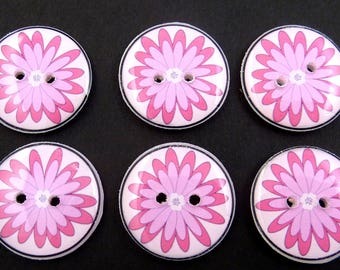 Set of 6 handmade sewing buttons. 3/4" or 20 mm. Pirate, Treasure Chest, Parrot and more! Washer and dryer safe. 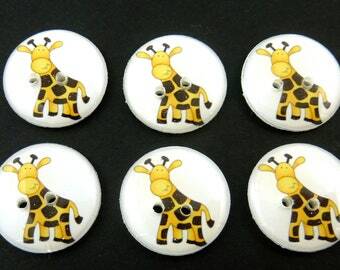 6 Giraffe Buttons. Handmade Sewing Buttons. Choose Your size.